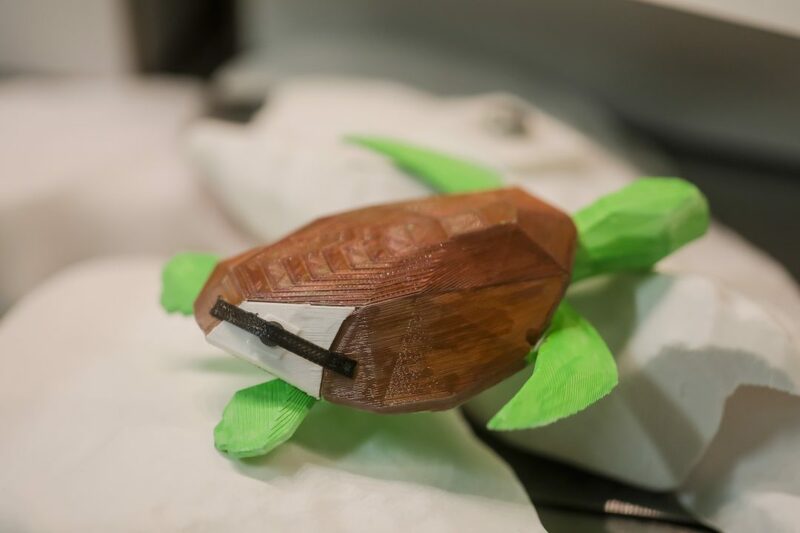 Birch Aquarium at Scripps Institution of Oceanography at UC San Diego has teamed up with the Digital Media Lab at UC San Diegos Geisel Library to create what is believed to be the first 3-D-printed brace for a sea turtles shell. 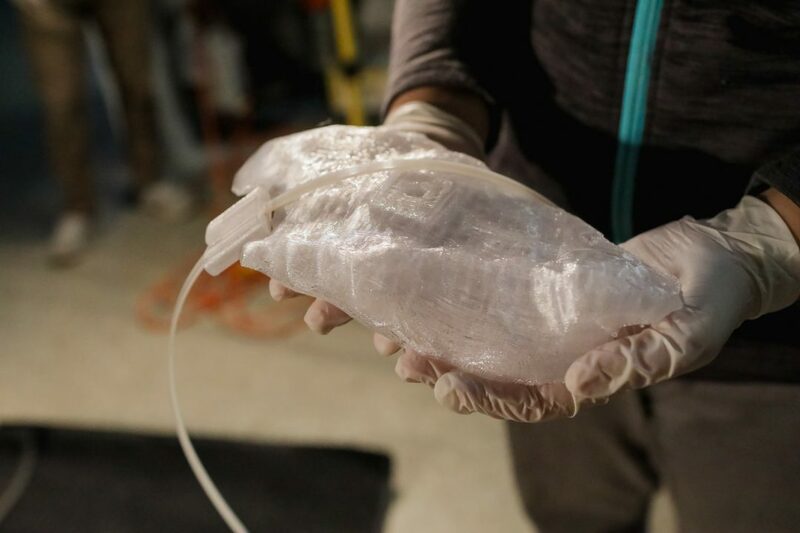 The Loggerhead Sea Turtle was rescued from a New Jersey power plant in 2013 with a large gap in the bottom right part of her shell. 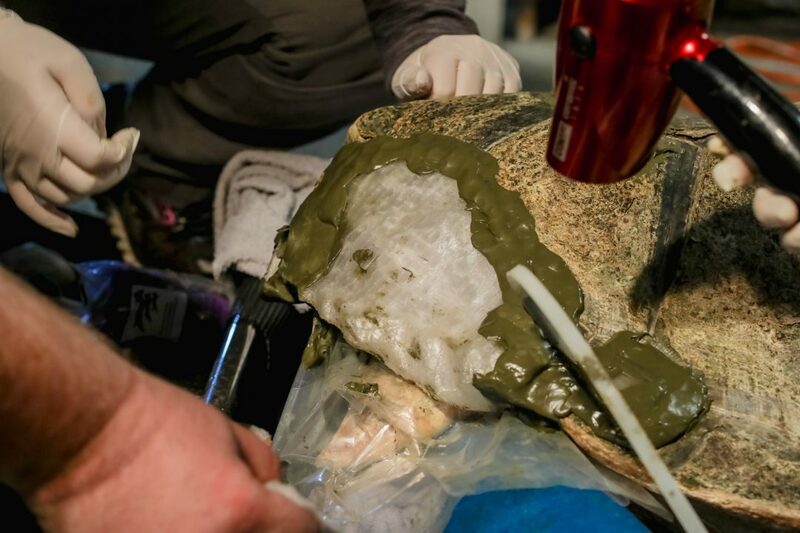 This gap, along with an abnormal curve of her spine and paralysis of her back flippers, is likely due to trauma experienced in the wild before she was rescued. 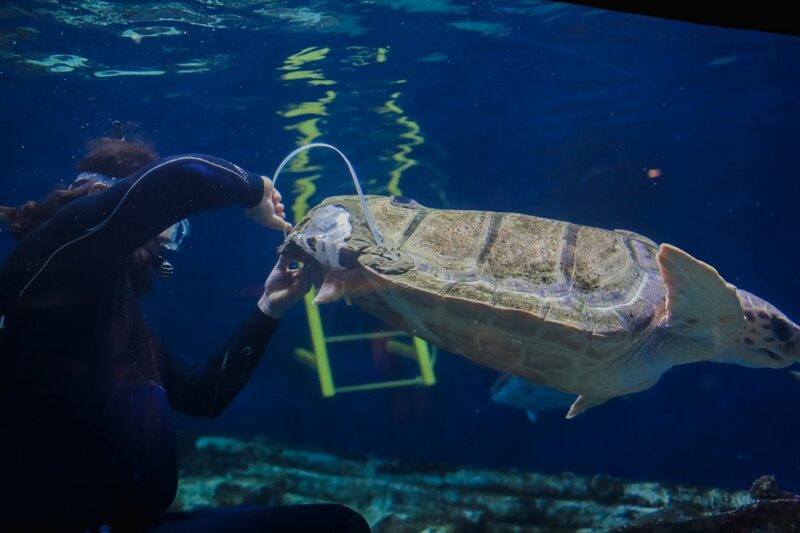 When she arrived at Birch Aquarium in 2014, the juvenile Loggerhead Sea Turtle weighed just 74.5 pounds. She has since thrived, gaining more than 130 pounds. 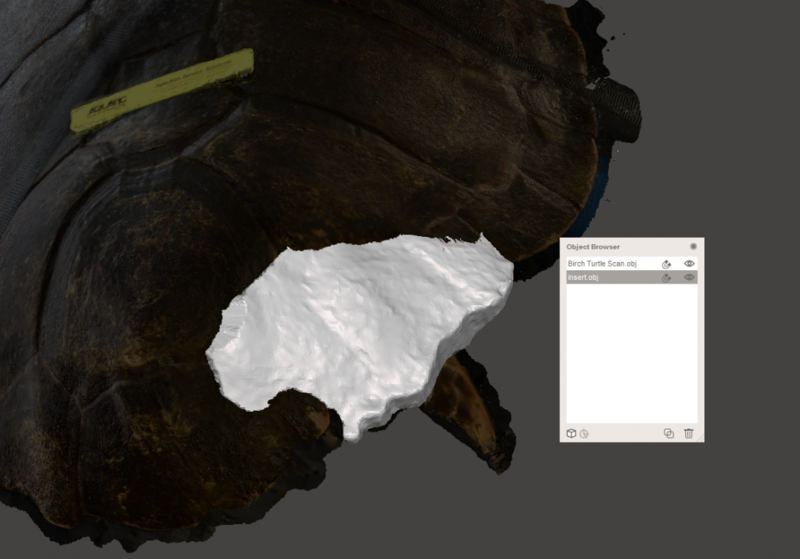 Want to see the sea turtle? 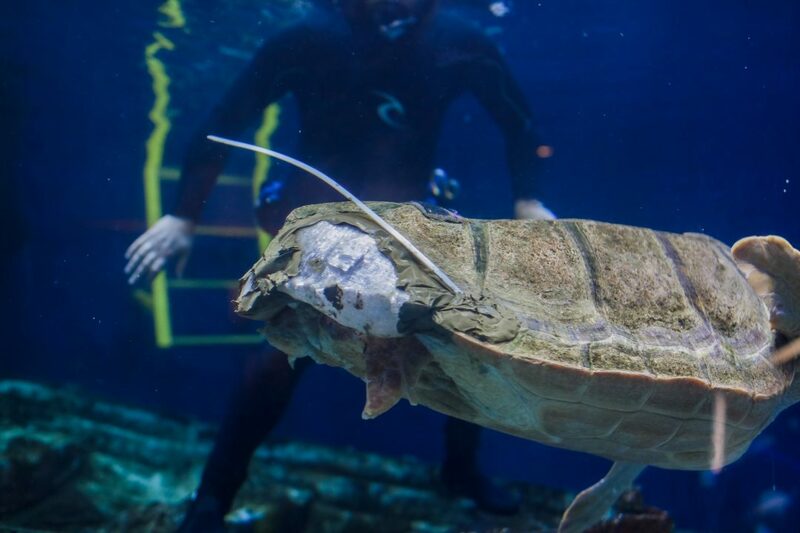 Year-round, the Loggerhead Sea Turtle lives in the Magdalena Bay habitat in the Hall of Fishes. 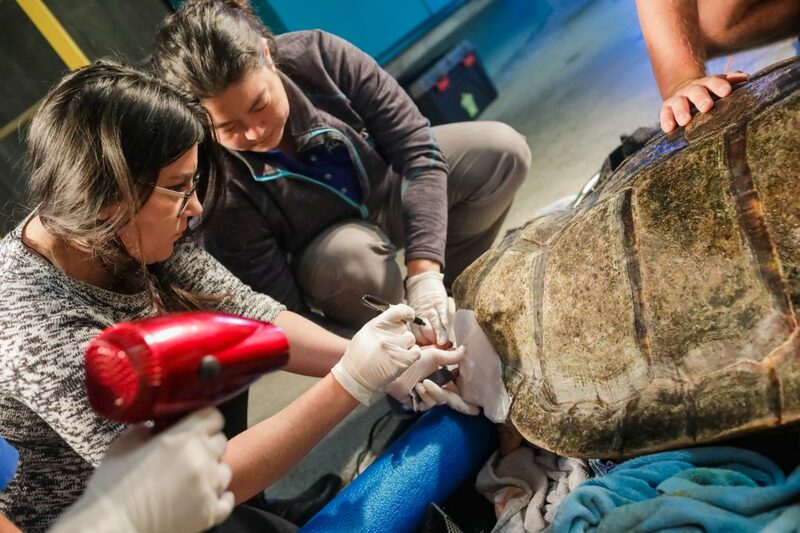 Every Tuesday and Thursday at 3 p.m., visitors can see the animal training and feedings required to help with her ongoing health care. 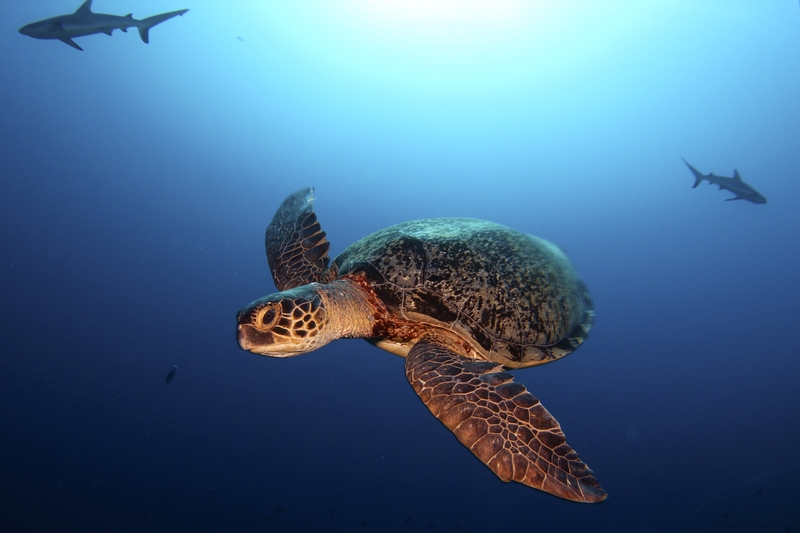 Your Sea Turtle Questions Answered!